Shares in US biotech Tesaro peaked this week amid speculation that Roche is making plans to buy it. At the time of writing, rumours are rife that the Swiss pharma giant is poised to make public its intention to purchase of Tesaro, which specialises in cancer drugs. Other firms rumoured to be interested are Gilead, which last year bought cell therapy specialist Kite Pharma, and Sanofi, which is looking to bolster its R&D pipeline and portfolio of approved drugs. The share price of Tesaro soared by around 16% following the buzz around the possible takeover earlier this week. 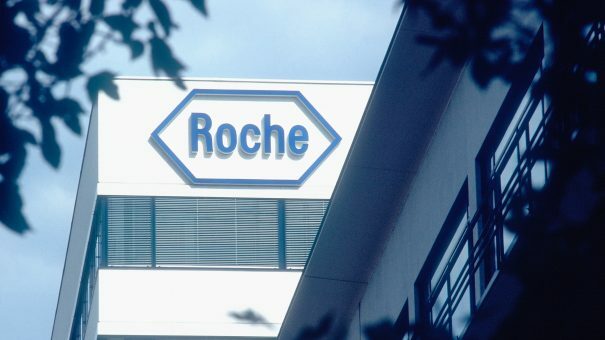 It comes days after Roche announced its plan to buy the remaining portion of cancer genetics firm Foundation Medicine that it did not already own. The US pharma makes the chemotherapy-induced nausea and vomiting drug Varubi (rolapitant) and one-a-day pill Zejula (niraparib), an ovarian cancer drug that works by inhibiting poly (ADP-ribose) polymerase (PARP), a cell repair system in adults with recurrent epithelial ovarian, fallopian tube, or primary peritoneal cancer, under certain conditions. Tesaro’s ethos is to capitalise on R&D opportunities that may be overlooked by other pharma companies – the company licensed in Zejula from Merck & Co in 2012 after the big pharma lost interest in developing it. Aside from Zejuls Tesaro also has a raft of oncology drug and supportive drug trials underway, from discovery stage to phase 3. At the recent American Society of Clinical Oncology’s conference in Chicago, Tesaro announced that it has developed its own PD-1 checkpoint inhibitor and wants to combine it with its approved PARP inhibitor, Zejula. It is planning to take this combination into later-stage clinical trials. Commentators pointed to the strategic alliance Roche agreed with Tesaro earlier this year, which they suggested could be moving in the direction of a merger, perhaps as early as next month. Tesaro already has ongoing collaborations with Merck in treating forms of breast cancer and ovarian cancer. Additionally, the firm is working with Johnson & Johnson to develop Zejula to treat prostate cancer. Another company in the mix with Roche is Clovis Oncology, which some commentators would be a more logical partnership than Tesaro. Clovis has developed and marketed the ovarian cancer drug Rubraca (rucaparib), a rival PARP drug. Trials have shown Rubraca extends the time it takes for the cancer to progress in women who are responding to their second or later course of platinum-based chemotherapy.